Both Nikon and Canon now have two choices in the full-frame mirrorless segment, with the Canon EOS R and Nikon Z 7 being the range-topping models, at least for now. While both cameras are the current flagships, the two don’t are not direct competitors. At $2,299, Canon’s EOS R is more closely matched with Nikon’s budget-friendly option, the Z 6, than the $3,400 Z 7. Yet, some specs are more closely aligned with the Z 7 than the Z 6. Canon may have played it safe by launching cheaper mirrorless models — the EOS RP is even less, at $1,300 — but there’s more to consider than price when looking for the better camera. Can the EOS R keep up with the more expensive Z 7? Let’s take a look at how these two cameras compare. Weight 1.46 lbs. 1.29 lbs. Both the Canon EOS R and Nikon Z 7 use large, full-frame sensors, but there’s a significant difference in resolution. 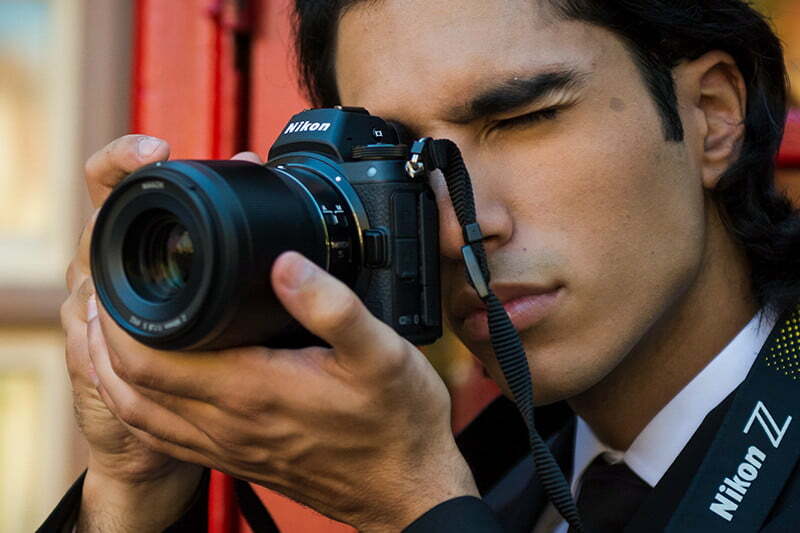 The Nikon Z 7 boasts a 45.7-megapixel sensor, the same resolution as the Nikon D850 DSLR. Those extra pixels are going to help capture fine detail and create more flexibility for cropping in postproduction. The Canon EOS R doesn’t have quite the robust resolution of the Z 7, with 30.3 megapixels. There are some perks to shooting with less, however, including smaller file sizes, which means fitting more images on the same memory card. Lower resolution sensors also tend to do better in low light, although the Z 7 held up surprisingly well in low light considering the higher resolution. Ultimately, your own needs dictate how many pixels you need, but there’s no denying that the Z 7 has the edge when you need to the most resolution you can get. Comparing the Z 7 and EOS R in speed requires a closer look at the fine print. Yes, the EOS R is just one frame behind the Z 7’s 9 fps, but not when using continuous autofocus. If you need to adjust the focus between frames (which is most scenarios where you’d want burst speed), the EOS R is limited to just 5 fps, whereas the Z 7 offers continuous autofocus at its full 9 fps speed. But, the Z 7 has fine-print of its own. That maximum burst speed is too fast for both live view and autoexposure, meaning your exposure is locked on the first frame. This probably isn’t a huge deal in most continuous shooting scenarios, but if you’re following a subject as it moves from sunlight to shadow, it could pose a problem. You’ll need to drop down to 5.5 fps to use live view and autoexposure. Looking at just the burst rates that maintain full operation, the Z 7 and EOS R are really only a half frame apart. Early mirrorless cameras couldn’t live up to the autofocus performance of DSLRs — and while that’s since changed, autofocus is naturally a big concern for photographers looking at either of these first-generation cameras. 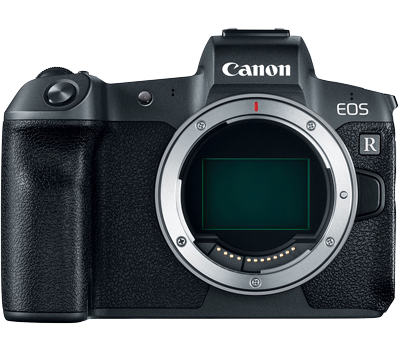 The Canon EOS R keeps up with the brand’s DSLR reputation using its Dual Pixel autofocus system, with over 5,000 individual AF points. In our real-world review, the EOS R quickly locked onto most subjects. The only area the mirrorless camera tended to focus a bit slower was with moving subjects in backlighting. The Nikon Z 7 will also leave DSLR photographers no doubts — if the lighting conditions are good, anyways. In most scenarios, the Z 7 locked on easily thanks to its 493-point phase-detection AF system. Where the Z 7 struggled was in low light, with the autofocus speed slowing down compared to a DSLR, especially when limited lighting was combined with limited contrast. The Z 7 focuses in -1 EV lighting conditions, or -4 EV with a slower low light autofocus mode activated, while the EOS R’s native focus range goes down to -6 EV. Canon, however, chose to skip in-body stabilization in the EOS R, which means if you want stabilization, you’ll have to find it in the lens. Fortunately, most native RF lenses do feature stabilization, but the Z 7’s in-body stabilization makes it more versatile. Both cameras build in 4K video at 30 fps. Both cameras also offer 10-bit output over HDMI with each company’s take on a logarithmic color profile, which preservers more dynamic range. But that’s where the similarities end. The Nikon Z 7 can use either the full sensor or a 1.5x cropped region to record 4K video, while the Canon EOS R can only record 4K from a 1.7x crop. 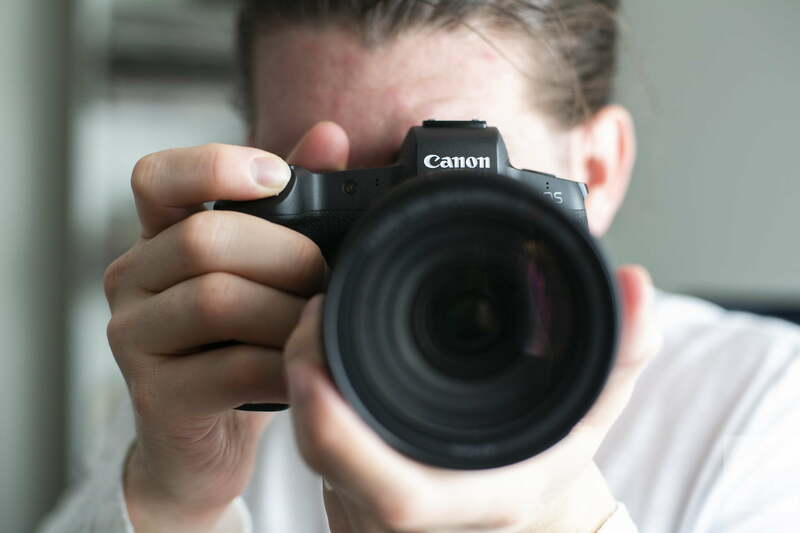 That crop factor gathers makes getting a wide-angle shot more difficult, and also cuts down the overall amount of light being gathered, reducing low light quality. The EOS R also suffers from pretty extreme rolling shutter distortion. The Z 7 is actually not as good for video as the Z 6, but it still gives videographers the choice between full-frame or oversampled crop footage (which is sharper). An upcoming firmware update will also allow for RAW video output that can be captured in the ProRes RAW format in compatible Atomos HDMI recorders. While both models may be the first generation, neither brand is a stranger to designing cameras. Both the EOS R and Z 7 will feel familiar to photographers that have previously shot with the brand’s DSLRs. Both also use a tilting touchscreen (only the Canon’s is fully articulating) and very nice, 3.69-million-dot electronic viewfinders. The Canon EOS R doesn’t have an autofocus joystick, instead using a multi-touch slider, which can be custom set to different controls. The slider has three shortcuts in one — you can tap either end to quickly recall programmed settings, or slide between ends to make adjustments. For example, we set it to control ISO, with ISO 100 at one end and 400 at the other, while sliding granted access to all other ISO values. The Nikon Z 7 shares many design features with the D850, including the great AF joystick. In a teardown of the two cameras, Lens Rentals also noted that the Z 7 has sealed pretty much anything that could be sealed against the elements, while the EOS R has more limited weather-sealing just around the buttons and dials. Despite this, the Z 7 is also the lighter of the two cameras. Both cameras also features a single memory card slot, but where the EOS R sticks with standard SD cards, the Z 7 uses the newer XQD format. XQD cards are not as widely available or affordable as SD cards, but they are much faster. Additionally, the Z 7 will gain support for the even faster CFExpress card format (which uses the same physical form factor as XQD) in an upcoming firmware update. Ultimately, this category is going to come down between personal preference on how each model feels in the hands, but since we have to pick one, we’ll leave the Z 7 as the winner here for the lighter weight, more robust weather-sealing, autofocus joystick, and future-proof memory card support. If you shoot a lot of selfies or vlogs, you may prefer the EOS R for its full-articulating screen, though. With a more than $1,000 price difference between the two, we’d be surprised if the pricier Nikon Z 7 didn’t overpower the EOS R in more categories. The Z 7 offers better resolution, better quality video with more options, 5-axis in-body stabilization, slightly better burst shooting, and more robust weather-sealing. The lower price point isn’t the only advantage to the EOS R, however, which has stronger autofocus, except in the case of continuous shooting. Canon has also confirmed that a higher-end, professional mirrorless model is on the way, which will likely be a better competitor to the Z 7 — although no details have yet been revealed. As both the EOS R and Z series are new camera systems, it will take Canon and Nikon time to build up a sizable collection of lenses. For now, current Canon or Nikon DSLR owners should consider sticking with their respective brand when it comes to making the switch to mirrorless, as each Company offers full compatibility with existing DSLR lenses on their mirrorless bodies, via adapters.